I got married just less than 2 years ago. And I know how stressful it can be to find the right dress. I was so very lucky to find the perfect dress that needed 0 alterations and fit me perfectly, but not every bride or bridesmaid can be so lucky! And that's why Azazie is a wonderful online shop! They have gorgeous and affordable Brides and Bridesmaids gowns. They also have Mother of the Bride Gowns. But what sets them apart is they will make your dress custom, in your size for you so you won't need to get alterations later. Hopefully! This is included in the price so that is just fantastic! My sister in law is getting married in May, and I'm a bridesmaid! So I was fortunate when this opportunity fell into my lap. It comes in the dress bag ready to go, which I LOVE! Makes for easy storage. The dress fits me pretty great! I probably should've gone down a bit in the bust since I'm breastfeeding now and in the last couple months I've noticed my bust is getting smaller again, but it should be an easy alteration to have the bust pulled in if I need it to, but for now it looks great and fits me pretty well! 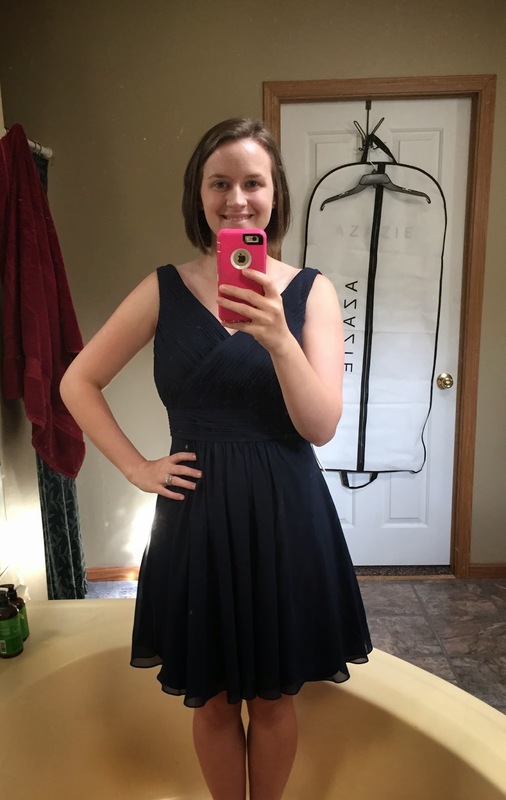 The dress was a custom size, made just for me and it arrived fitting great! They asked my measurements as well as height and it came fitting right at the knee like it should be! So that is perfect and ideal. I really love the custom aspect of their site. It's a great way to have a dress fit you right from the get go. A lot of women are different sizes all over and a standard 6 or 8 just won't fit them. So this is awesome and an ideal solution for women of all sizes. I'm a 4 from the waist down, but more like a 6-8 up top, so to have this option was just a wonderful thing! Hopefully it still fits me well in May! 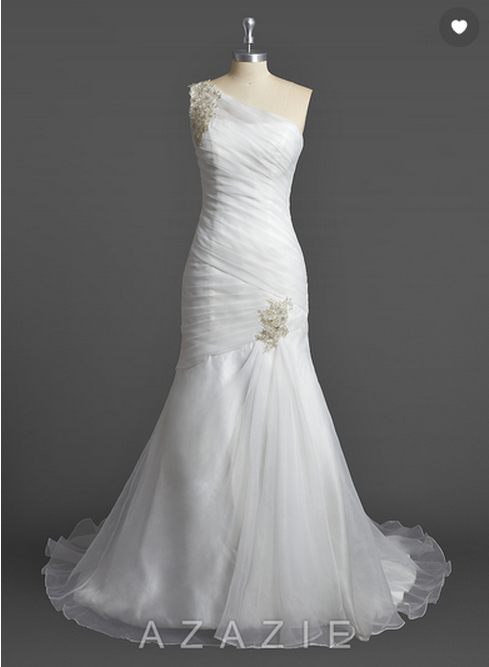 Here is one of their wonderful, gorgeous wedding gowns. 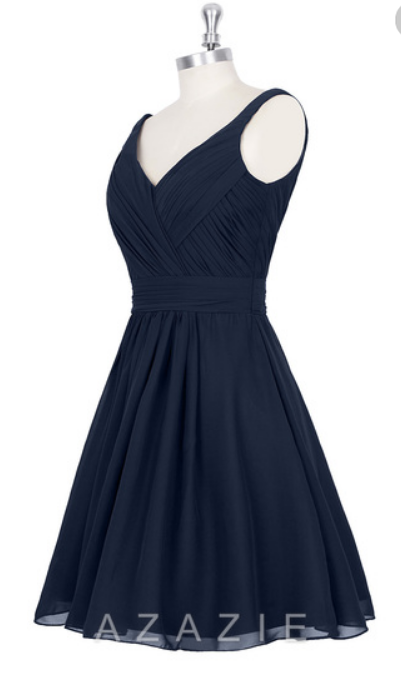 Price: This dress is just $89! 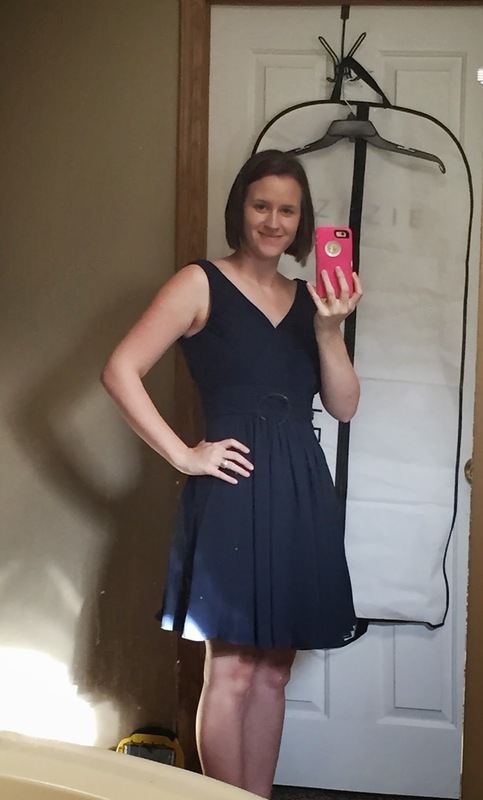 Talk about an affordable bridesmaid dress! Their wedding dresses are super affordable as well. Most of them being right around $200! And the dress pictured above is just $229! I love that you can customize the sizing! It's so hard to find dresses that fit JUST right, especially if you are shorter and curvy. Hey there, I have a quick question. How quickly did you get your order? I had ordered a skirt that they estimated would take between 6 - 8 weeks, which I didn't realize till after I placed the order. I had contacted customer service and had continued with the order I am just curious did you get your dress faster than the estimated time they gave you or did they guess it about right on for time? Thank you! So beautiful wedding dress, thank you for the photo! If you can really have interested in new wedding ideas, I know the excellent resource for you. Here http://www.weddingforward.com/wedding-hairstyle-trends/ you can know all about 2017 wedding trends in hairstyle, wedding dress, and the style if the hole wedding. I use the resource for my wedding preparation and now can safely recommend it to everyone.